Bespoke Tailoring: What is it anyway? Bespoke Tailoring is a fine art, where clothing is traditionally cut from a pattern drafted from scratch for the customer. It differs from ready-to-wear which is factory made in finished condition and made in standardised sizes. It also varies from made to measure which is produced to order from an adjusted block pattern. 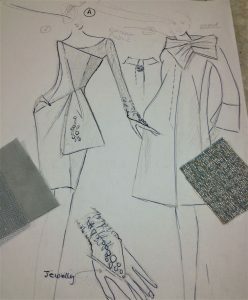 So Bespoke is a new custom made design just for the individual which is not already a part of a collection. Many women will say that they have never bought an outfit off-the-peg which fits them properly. Maybe the waist of the garment does not sit where the waist should be or the sleeves are always too short. Or things just don’t sit right because they are made to a standard cut. But, is this not understandable when we consider that no woman is the same shape? Many women find as they get a little older they want clothes that are more durable, well made clothes that are flattering and well cut. Or they want an outfit that is made to suit their style and silhouette, an outfit that they will not see on anyone else anywhere. Perhaps they just want the finest traditional craftsmanship that money can buy. And, there are the women who feel sidelined by mainstream designer fashion, where sizes often stop at a size 14. One of the biggest concerns for women is their tummy, so it is important to conceal and flatter. 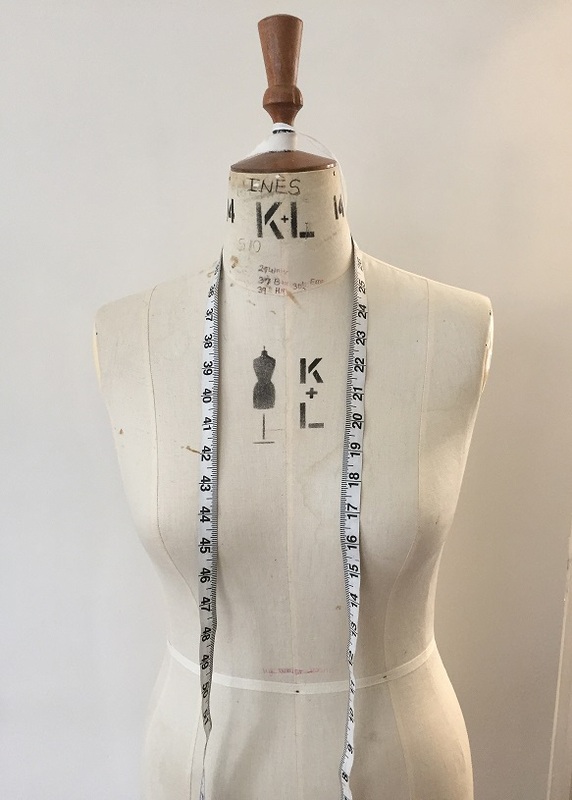 With bespoke tailoring you can create illusions of being slimmer, taller, curvier and create the outfit which best flatters the silhouette. 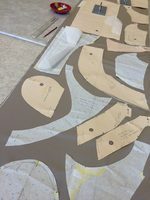 A pattern is drafted to the client’s specific measurement and style. This is made up initially in a cotton or similar fabric to try on the customer. Ajustments are made to attain the desired look before the fabric is cut. Other additional adjustments may need to be made before the garment is given to finally completed.